Contained after 1700, the Ottoman threat to Europe evolved into an Austro-Russian-Ottoman struggle for hegemony over the remaining frontiers of the Danube, the Crimea and the Caucasus. The era from 1700 to 1900 is generally described as one of profound transformation of the Ottoman military system by adopting European organizational and technological models. Based on a critique of current theoretical models, this article argues that the notion of the transfer of military technology is better expressed as a cultural conversation. We still have very few specific details about military reform within the empire, and those responsible for it. Much of the post-1700 European imagination about the Ottoman potential for reform was inspired by literary, sometime derisive narratives. Both observations will be discussed in relation to the nature and deployment of our sources. The era of Ahmed III was, however, also characterized by an immense interest in consumer culture and European goods, public extravagance and spectacle, remarkably like Versailles or St. Petersburg of the period. The rage for tulip bulbs spread to Istanbul and pleasure kiosks, palaces and gardens sprouted up all along the Bosphorus. Some of the trends were driven by a revived economy, which was stimulated by the creation of a new system of life-time tax farming, which redistributed wealth among a select group of grandees, and moved much wealth to the provinces and into the hands of lesser notables, both Muslim and Christian. A select number of grandee households in turn jealously guarded access to the Istanbul bureaucracy and the religious class. In Istanbul and other port cities of the empire, non-Muslim Ottoman families found ways to acquire and maintain their own wealth in the increasing use of berats (licenses) sold by the Ottomans to foreign consuls who could then appoint local (generally Christian) merchants to serve as their agents for the domestic market. So, the 18th century was a time of prosperity for large parts of the population, both Christian and Muslim, but the net effect of both trends was the decline in state revenues, and hence the neglect of institutions such as the Janissaries, whose privileges started to evaporate and whose salaries were continually devalued by sultanic fiat (and desperation), yet another reason for repeated mutinies. The Ottomans were not privy to the lessons learned in the Seven Years War (1756–1763) either, which forced considerable reforms in the Russian military command and supply systems. The Ottomans fell further behind European military developments, especially battlefield formations, drill and arms. Little concern was given to resettling demobilized soldiers, or maintaining a war ready status. Thus, when the Ottomans declared war on Russia in 1768, they were completely unprepared for campaigning on the Danube again, and took an inordinate amount of time to put together and supply a field army. The 1774 treaty of Küçük Kaynarca11 demonstrated just how deep Russia had penetrated to the south, but it took another round of ferocious confrontations between the two belligerents between 1787 and 1792 to bring about an almost complete collapse of the Ottoman forces. Selim III (1761–1808) sought advice from his increasingly critical entourage and began a wholesale overhaul of army, navy, grain supply, armaments and taxation systems, all of which were given little chance to take root before the navies of France and Britain cast anchor in the eastern Mediterranean in 1798, and embroiled the empire in Napoleon’s great adventure. In the largest Istanbul convulsion to date, the new regime (Nizam-i Cedid) of Selim was toppled by mutinous military forces urged on by the traditional palace elites in 1807. 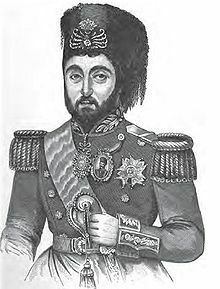 Selim’s successor, Mahmud II (c. 1784–1839) , known as the infidel sultan, is credited with the rapid, violent and ultimately successful transformation of the army, in spite of almost total ruin and collapse in the face of pressures from all the great powers, and the forces of nationalism, Greek and Serbian, after the 1820s. The debate over what his intentions were continues, especially as embodied in the legislation of the Tanzimat, the constitutional period, which began in 1839. Was it a Muslim absolutism, arguably an innovation, or was it a constitutional monarchy, equally different from centuries past?12 In spite of multiple attempts to credit these changes to a wholesale westernization process by generations of historians, recent work more accurately portrays an indigenous transformation that looks very much like a hybrid of eastern and western styles, a local as well as an international conversation. One thing is certain: the Ottoman Empire of Süleyman the Magnificent (c. 1494–1566) died with the elimination of the last Janissaries in 1826. A brief snapshot of a similar pair of cultural mediators from the end of the 18th century illustrates the continuation of the dialogue around reform as the need for change became imperative. In the midst of the 1768–1774 Russo-Ottoman war, Baron François de Tott (1733–1793) , a Hungarian in French service, was called on to assist Sultan Mustafa III (1717–1774) in organizing mobile artillery units, on the model of those introduced into European armies in mid-century. He was not required to convert. Tott’s return to France and the publication of his Memoirs19, with exaggerated (and some certainly fabricated) observations about a society impossibly naïve, resistant to change and fundamentally corrupt, turned him into an international celebrity. 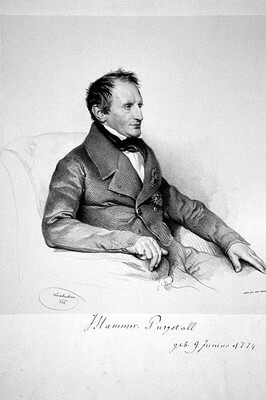 Produced in at least twenty-five editions, and translated into German, English and Swedish, the Memoirs had a lasting influence on the formation of French imperialism, as Tott became part of the influential circle of ideologues around Charles-Maurice de Talleyrand (1754–1838) and Napoleon Bonaparte (1769–1821) , who himself consulted the Memoirs as one of his sources of information.20 But Tott also became the inspiration for literary and satirical productions such as Rudolf Erich Raspe’s (1737–1794) Baron Münchhausen’s Narrative of his Marvelous Travels and Adventures in Russia21, where the Baron encounters Tott in Istanbul. Two individuals in Mahmud’s court represent the struggle that continued to unfold among the Ottoman elite around change. 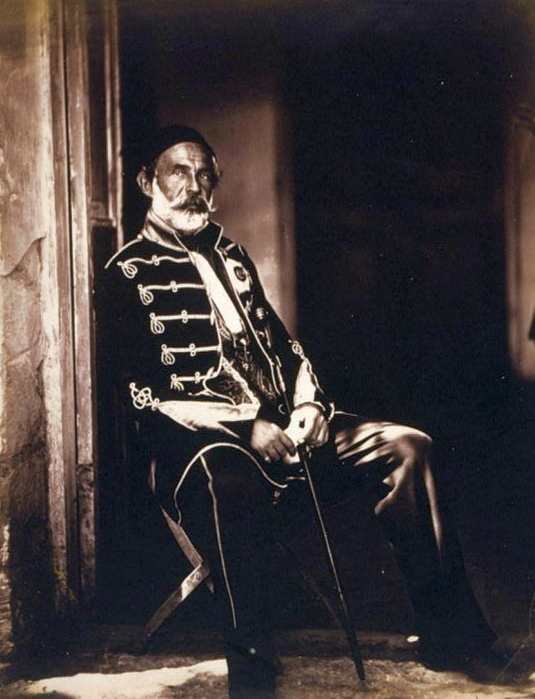 Mustafa Reşid Paşa (c. 1800–1858) , six times Grand Vizier, is invariably represented in European sources as the new Ottoman man, who could converse with the likes of Lord Palmerston (1784–1865) and Stratford Canning (1786–1880) , and who was absolutely instrumental to Mahmud’s reform initiatives. He, it is said, crafted the Gülhane Decree of 1839, the constitutional document which was hailed in Europe as the pinnacle of the Ottoman reform impetus, and which technically introduced conscription for all Ottoman subjects. Of course there were foreigners in Istanbul. 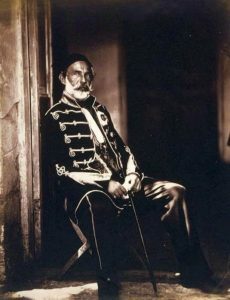 A small German mission, which included a young Captain Helmuth von Moltke (1800–1891) , may have advised Sultan Mahmud, but it had no official status. 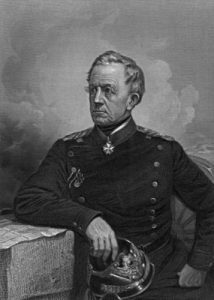 Historians posit a relationship between the Ottoman reserve system, introduced in 1834, and the German Landwehr, of which Moltke speaks, but no significant documentary evidence of the direct borrowing has yet surfaced. The British allied with the Ottomans against their enemies on three occasions: once in 1801–1803 in the effort to remove the French from Cairo; again in 1839–1841, in the effort to bring the ruler of Egypt Mehmet Ali Paşa and his son İbrahim Paşa (1789–1848) [and their ally the French] to heel in Lebanon, and finally in 1853–1856, in the Crimean War against Russia. 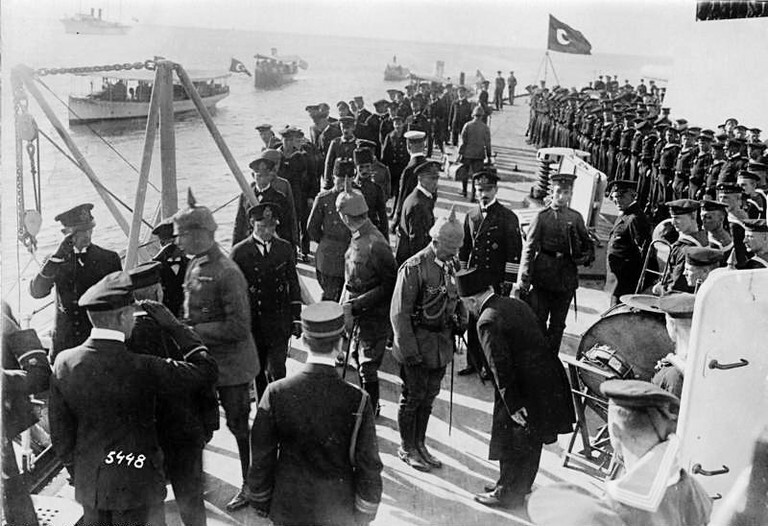 It is only in the latter that the British were given commissions and command over Ottoman soldiers. 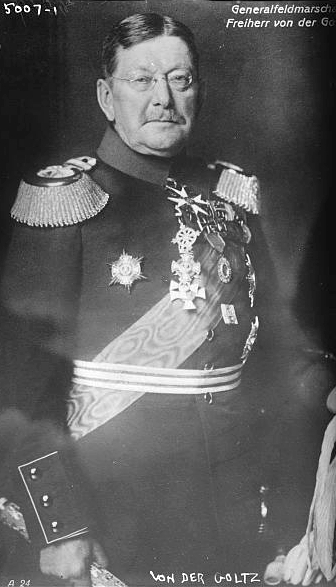 What is absolutely clear is that the pattern of borrowing continued: never unwilling to benefit from European military knowledge in the guise of renegades or advisors, the Ottoman court remained resistant to a real restructuring of military command, and the development of an able hierarchy of military experience based on merit, not favoritism. Officer training faltered, and the curriculum remained unchanged until the end of the century. 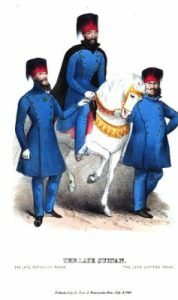 Treated rather poorly by their British and French allies, especially in the dreadful campaign winter in the Crimea, 1854–1855, the Ottoman army, under the able command of Croatian Ömer Paşa (1806–1871) , proved itself on the Danube in 1853–1854, and then at Eupatoria. 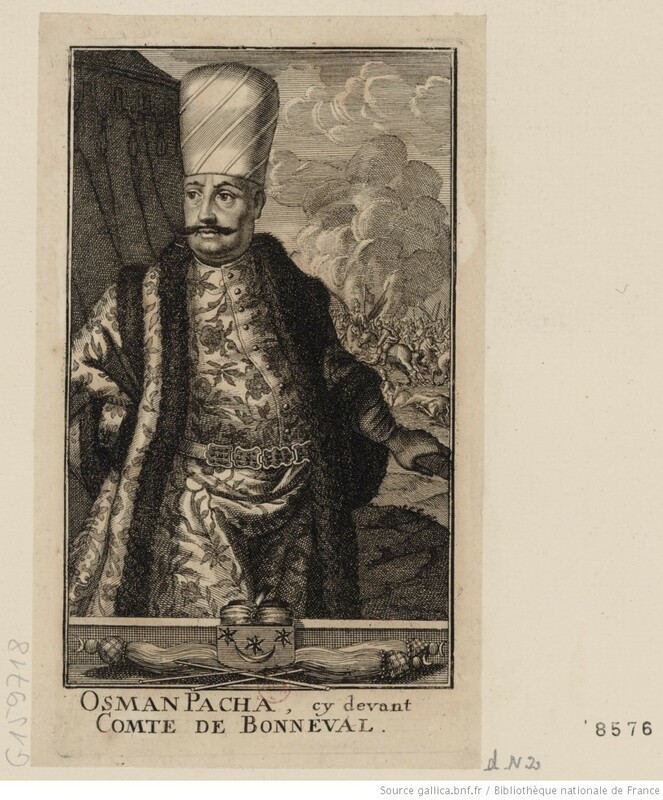 Ömer Paşa is better remembered for “turning Turk” than for his considerable success at command. British admiration of the enlisted Turkish soldier coupled with contempt for the corruption and ineptitude of the commanding officers leaps off the pages of memoir after memoir. What these brief sketches tell us is that there is much work to be done to unravel the relationships between the Muslim and Christian world around the question of military reform and technology transfer in the post-1700 period. By 1800, Ottoman aspirations to be European were already viewed in the popular imagination as ludicrous and impossible, at least partially because of the exaggeration of the historic realities around social change evident in the texts described here. That impression has influenced the historiography of such transnational settings and has perpetuated a lopsided notion of the transfer of military ideas across the Muslim-Christian frontier. Equally importantly, as new Ottoman manuscripts are published in critical editions and the Ottoman archives reveal their treasures, it becomes even clearer that Selim III had around him a well developed circle of ideologues determined on a social transformation that Mahmud II eventually was able to carry through. By 1900, the Ottomans had become loathsome in the popular European imagination, as a result of the harsh treatment by the army (and mercenaries) of a Bulgarian revolt in 1876 and the subsequent uproar in the European press about Ottoman atrocities. World War I is a growth industry in Ottoman/Turkish historiography at the moment, and a fuller picture of the difficulties faced by reformers, foreign or otherwise, is starting to emerge. Filling in the picture does not so much change the outcome as provide a deeper understanding of the common Ottoman experience, both Christian and Muslim, around the exigencies of war and survival in the latter-day empire. 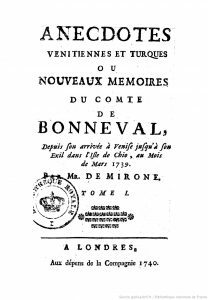 Anonymous [Kumbaracıbaıs, Ahmet Paşa]: Mémoires du Comte de Bonneval ci-devant général d’infanterie au service de Sa Majesté Impériale & Catholique, London 1737. Argens, Jean Baptiste de Boyer, Marquis d’: Anecdotes vénitiennes et turques, ou Nouveaux mémoires du comte de Bonneval, London 1740, online: http://gallica.bnf.fr/ark:/12148/bpt6k1065160 [29/10/2010]. Müteferrika, Ibrahim: Uṣūl al-ḥikam fi niẓām al-umam, or Rational Basis for the Order of Nations, Istanbul 1731. Ohsson, Ignace Mouradgea d’: Tableau général de l’Empire othoman, Paris 1788–1823, vol. 1–3. Raspe, Rudolph Erich: Baron Münchhausen’s Narrative of his Marvelous Travels and Campaigns in Russia, Oxford 1786. Tott, Baron François de: Memoirs of Baron de Tott: Containing the State of the Turkish Empire and the Crimea, during the Late War with Russia…, London 1785, vol. 1–2. Abou El Hajj, Rifaat: The 1703 Rebellion and the Structure of Ottoman Politics, Leiden 1984. Ágoston, Gábor: Empires and Warfare in East-Central Europe, 1550–1750: The Ottoman-Habsburg Rivalry and Military Transformation, in: Frank Tallett et. al. (eds. ): European Warfare 1350–1750, Cambridge 2010, pp. 110–134. Aksan, Virginia H.: Breaking the Spell of the Baron de Tott: Reframing the Question of Military Reform in the Ottoman Empire, 1760–1830, in: International History Review 24 (2002), pp. 253–277. Aksan, Virginia H.: Locating the Ottomans among Early Modern Empires, in: Journal of Early Modern History 3 (1999), pp. 21–39. Aksan, Virginia H.: The Ottoman Military and State Transformation in a Globalizing World, in: Comparative Studies of South Asia, Africa and the Middle East 27 (2007), pp. 257–270. Aksan, Virginia H.: Ottoman Political Writing 1768–1808, in: International Journal of Middle Eastern Studies 25 (1993), pp. 53–69. Aksan, Virginia H.: Ottoman Wars 1700–1870: An Empire Besieged, Hammersmith 2007. Erimtan, Can: The Origins of the Tulip Age and its Development in Modern Turkey, London 2008. Fahmy, Khalid: All the Pasha’s Men: Mehmed Ali, his Army and the Making of Modern Egypt, Cambridge 1997. Findley, Carter V.: Ebubekir Ratib’s Vienna Embassy Narrative: Discovering Austria or Propagandizing for Reform in Istanbul, in: Wiener Zeitschrift für die Kunde des Morgenlandes 85 (1995), pp. 41–80. Henzelmann, Tobias: Heiliger Kampf oder Landesverteidigung? 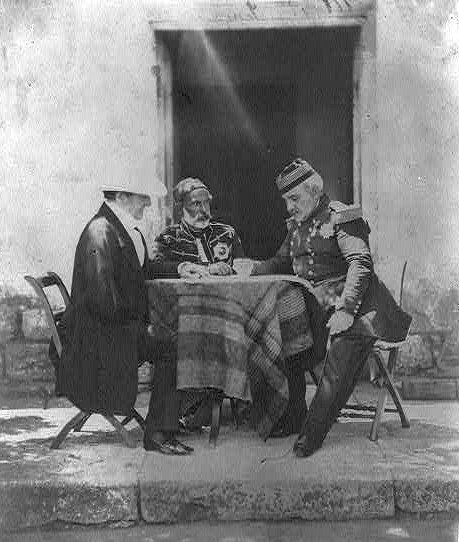 Die Diskussion um die Einführung der allgemeinen Militärpflicht im Osmanischen Reich 1826–1856, Frankfurt am Main 2004. Işın, Ekrem: Osmanlı donanmasının seyir defteri |gemiler, efsaneler, denizciler: The Logbook of the Ottoman Navy: Ships, Legends, Sailors, Istanbul 2009. Kasaba, Reşat: A Moveable Empire: Ottoman Nomads, Migrants and Refugees, Seattle, WA 2009. Langensiepen, Bernd / Güleryüz, Ahmet: The Ottoman Steam Navy 1828–1923, Istanbul 1995. Landweber, Julia: Fashioning Nationality and Identity in the Eighteenth Century: The Comte de Bonneval in the Ottoman Empire, in: International History Review 30 (2008), pp. 1–31. Murphey, Rhoads: Ottoman Military Organisation in South-Eastern Europe, c. 1420–1720, in: Frank Tallett et al. (eds. ): European Warfare, Cambridge 2010, pp. 135–158. Murphey, Rhoads: Ottoman Warfare 1500–1700, London 1999. Sabev, Orlin: Formation of Ottoman Print Culture (1726–1746): Some General Remarks, in: New Europe College: Regional Program, 2003–2004, 2004–2005 (2007), pp. 293–333. Sabev, Orlin: İbrahim Müteferrika ya da İlk Osmanlı Matbaa Serüveni (1726–1746), Istanbul 2006. Sievert, Henning: Zwischen arabischer Provinz und Hoher Pforte: Beziehungen, Bildung and Politik des osmanischen Bürokraten Rāġıb Paşa (st. 1763), Würzburg 2008. Uyar, Mesut / Erickson, Edward J.: A Military History of the Ottomans: From Osman to Atatürk, Santa Barbara, CA 2009. Uyar, Mesut / Varoğlu, A. Kadir: In Search of Modernity and Rationality: The Evolution of Turkish Military Academy Curricula in a Historical Perspective, in: Armed Forces & Society 35,1 (2008), pp. 180–202. Uyar, Mesut / Gök, Hayrullah: The Fate of the Library of the Imperial School of Engineering, in: The Bulletin of the Yapı Kredi Sermet Çifter Research Library Aug.–Sept; Nov.–Dec. (2003), pp. 12–18, 34–38. Yeşil, Fatih: Looking at the French Revolution Through Ottoman Eyes: Ebubekir Ratib Efendi’s Observations, in: Bulletin of the School of Oriental and African Studies 70,2 (2007), pp. 283–394. Later historians have anachronistically expressed it as the influence of Enlightenment thought on a benighted Muslim civilization. Looking for the Enlightenment in Islam is a disappointing and disingenuous endeavor, as it invariably leads to a celebration of European success. Challenges to the “Tulip Age” historiography argue that it was a later historical construction to locate the origins of “westernization” in the early 18th century: Erimtan, Origins 2008. On the navy, Işın, Logbook 2009; and Langensiepen / Güleryüz, Ottoman Steam Navy 1995. Digitized version of the Treaty of Karlowitz, project “European Peace Treaties of the Early Modern Age”, Institute of European History, Mainz. For the most recent assessments of the pre-1700 Ottoman military see Ágoston, Empires 2010, pp. 110–134, and Murphey, Ottoman Military Organisation 2010, pp. 135–158. Murphey, Ottoman Warfare 1999, is particularly good on the persistence and the commonality of small frontier wars and sieges, an Ottoman specialty at which they excelled, as a cultural phenomenon of the Ottoman-Austro-Hungarian frontier. It is worth remembering that in 1700, the majority of Eastern Europe was unmapped. By the end of the century, that was no longer the case. Secondly, it is astonishing how the Danube River system, then a vast and unpredictable river with extensive marshlands, breeding lethal fevers and plagues, and the Balkan and Caucasus Mountain ranges, untracked and difficult terrain, actually bested three great armies then reaching the limits of their imperial pre-modern capacities, repeatedly. It helps to explain to some degree why the Ottomans stayed with a system which “worked”. On this see Abou El Hajj, 1703 Rebellion 1984; and Aksan, Locating the Ottomans 1999, pp. 21–39. Two later rebellions, in 1730 and 1740, simply reaffirmed the new coalition. Well into the middle of the 18th century, candidates for Grand Vizier were experienced governors of provinces and/or commanders-in-chief of major campaigns, but that too had changed by the time of Russo-Ottoman wars of 1768 and after. One of them, Koca Ragıb Paşa, grand vizier to three sultans, has been given an extensive study by Sievert, Provinz 2008. See particularly Kasaba, Moveable Empire 2009. Ágoston, Empires 2010, pp. 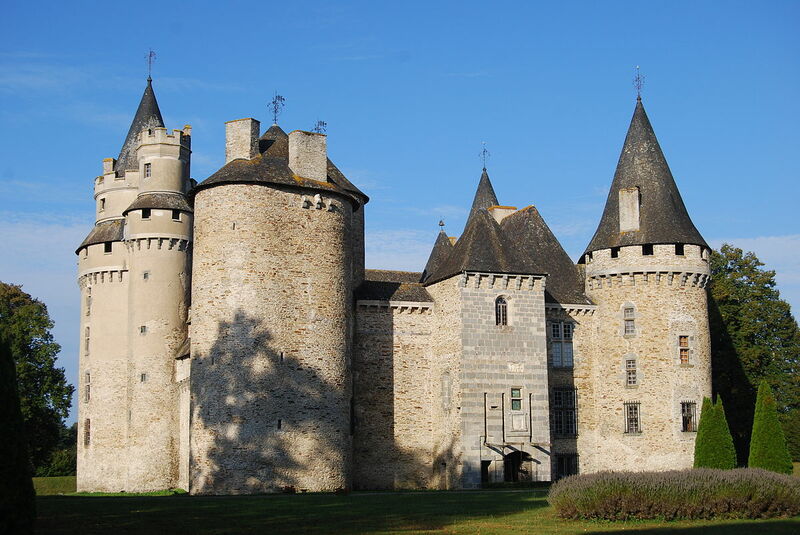 130–134. Digitized version of the Treaty of Küçük Kaynarca, project “European Peace Treaties of the Early Modern Age”, Institute of European History, Mainz. Aksan, Ottoman Military 2007, pp. 257–270. 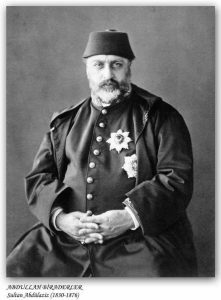 While most historians agree that Ottoman success prior to 1800 was based on an astute amalgamation of many sources of law (customary, religious and sultanic), disagreements about the legal source and language of the 19th century reform proclamations (Gülhane Decree of 1839 particularly) continues. 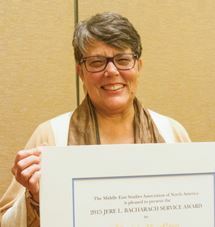 For the Gülhane Decree see “The Modern Middle East Sourcebook Project and The Electronic Middle East Sourcebook“, University of Michigan-Dearborn, online: http://sitemaker.umich.edu/emes/sourcebook/da.data/000000000000000000000000000000000000000000097045/FileSource/1839_gulhane.pdf[10/12/2010]. Hence, until the last decade or two, our knowledge of the Ottoman transformation has been based on the primacy given to cultural mediators with western (Christian) origins. By and large, Muslim critical voices were unknown or assumed to be irrelevant. Much new work is now bringing neglected intellectuals and their understanding of the process of military and social change to our attention. The first, Anonymous [Kumbaracıbaıs, Ahmet Paşa]: Mémoires du Comte de Bonneval ci-devant général d’infanterie au service de Sa Majesté Impériale & Catholique, London 1737 [one of multiple editions in English, French and German of a fictitious autobiography, authorship largely unsubstantiated], defamed him for leaving his faith and denied him a French national identity. It appeared in some ten editions and was translated in into English and German. 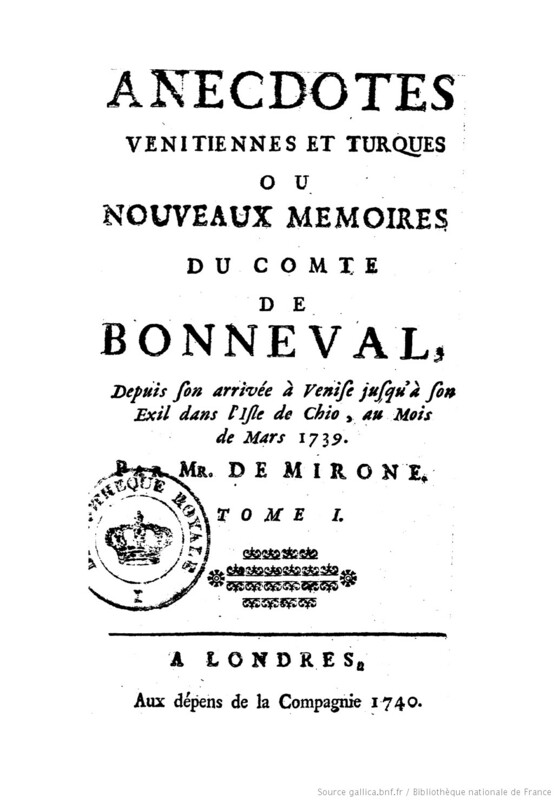 The second was published in 1740: Argens, Jean Baptiste de Boyer, Marquis d’: Anecdotes vénitiennes et turques, ou Nouveaux mémoires du comte de Bonneval, London 1740; Landweber, Fashioning Nationality 2008, pp. 1–31. Sabev, Formation 2007, p. 297. Orlin Sabev has transformed our understanding of Müteferrika and his contribution to eighteenth century Ottoman society. See also Sabev, İbrahim Müteferrika 2006. Sabev, Ibrahim Müteferrika 2006, p. 106. Does it truly matter that Müteferrika might have drunk a glass of wine on occasion, as contemporaries observed? The work was published on his own press in 1731, Uṣūl al-ḥikam (Rational Basis). Aksan, Ottoman Political Writing 1993, pp. 53–69. Tott, François. Baron de: Mémoires du baron de Tott sur les Turcs et les Tartares, Amsterdam 1784–1785, vol. 1–2. Aksan, Breaking the Spell 2002, pp. 253–277. Raspe, Ruldolf Erich: Baron Munchausen’s narrative of his marvellous travels and campaigns in Russia, Oxford 1786. Only very recently have some of Ratib Efendi’s own book collection been relocated and discussed in detail in terms of titles and their possible utility in the curriculum of the Military Academy of the reformed army. Uyar / Gök, Library 2003, pp. 34–38; 12–18. Yeşil, French Revolution 2007, pp. 283–394. Of the other, more interesting approaches to Ratib Efendi, see Findley, Ebubekir Ratib’s Vienna Embassy Narrative 1995, pp. 41–80. Uyar / Varoğlu, Search of Rationality 2008, pp. 180–202. This entry was posted in Christianity, History, Islam, Military, Warfare. Bookmark the permalink.